Plates is the brainchild of a chef/DJ that wanted to blend what he loves, which is great music and food. The logo design gives a nod to the classic diner but also feels modern. 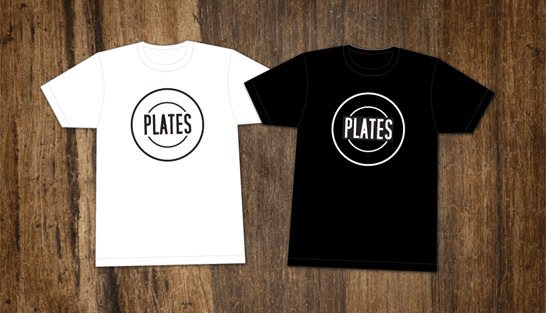 “Plates” is also a term DJs use for records/vinyl. The modern monochromatic approach is bold but doesn’t get in the way of the colorful food and people it accommodates. Great food isn’t over cooked or over spiced, it is prepared with care to let the natural flavors and taste come through. The idea is let the food speak for itself. I try to approach brand identity the same way. The branding message is smart and efficient, and its simplicity of form supplies a launching board of possibilities to explore humor and demographic. It makes fun of it’s own pretentiousness in a way that empowers the patron. They can be assured of a meal prepared by picky foodies that like to have fun. The proposed signage is powered by an Arduino computer so when the lights go down the logo becomes animated and lures the late-nighters to the best food on the block.